Simon Rogan's curds with watercress recipe encapsulates the chef's style perfectly - using precision techniques to transform beautiful British ingredients into clean, naturalistic dishes that are bursting with interest and flavour. 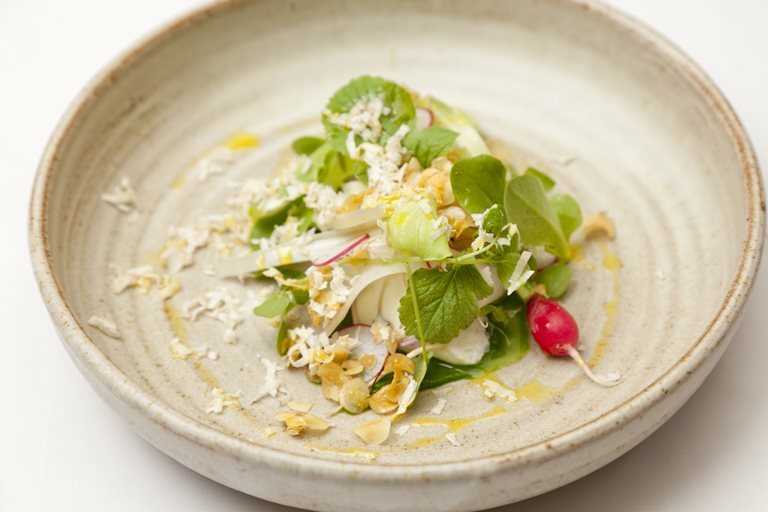 In the case of this dish, he assembles watercress, freshly harvested tantan lettuce and cobnuts to produce a salad of style and intrigue. Curd-making can be a tricky process - to eliminate the chance of contamination or altering the flavour, use an Exoglass spoon to stir the milk while heating.